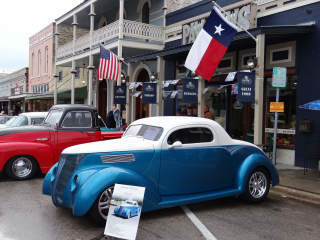 The Bastrop Area Cruisers car club is honoring American veterans with its Heroes & Hotrods: Bastrop’s 13th Annual Veterans Weekend Car Show. The event will feature live music, tribute and award ceremonies, and a showcase of flashy classic cars. Vintage cars, truck and hot rods will roll into town for this once a year event.